In the spring of 2005 the site contained almost 1,000 different tracks, by about 30 different composers with whom Bjorn had made a deal to sell their music through this site. At this time, the software that runs the site “behind the scenes” was totally overhauled and basically created again from scratch. Now the site was given the technology needed to deliver files automatically to customers and to automatically create License Documents for each customer. It’s now the spring of 2011 and apart from a few minor tweaks and fixes, Shockwave-Sound.com has basically, pretty much run on all the same technology for all these years since 2005. We’ve added a few things to help us along, such as the [My Orders] page where customers go any time to recover old orders and re-download them any time they want. But by now, the site has a catalog of approx. 10,000 tracks, with some 100-200 new tracks being added each new month. We’ve realized that the old search / browse structure is no longer enough, on its own, for customers to make a good and precise music search. Ability to browse for music not only by Music Genre, but also by Moods/Emotions, Suggested Production Types, Tempo-feel, BMP-tempo and Prominent Instruments of each track. For those who have ordered many files in one order, they will be able to “re-pack” all their downloadable files into one big .zip file, from their download page – enabling customers to download many files in one big download .zip file. We’re going to go back over all older tracks on the site and re-code the preview files so that the “preview… shockwave-sound…” voice becomes quieter, less obtrusive, and also with a higher fidelity on the preview files. We used to do them in 56-kbps MP3 format, we’re now doing them in 128-kbps MP3, and this is what we’re going to re-encode all preview files to. These are all things that we will be rolling out over the next few weeks and months here at Shockwave-Sound.com, and we hope to have most of our new stuff active on the live website by the end of the summer 2011. Right now, we have 7 guys working on listening to all 10,000 tracks in detail, one by one, and inputting additional data about each track, including Moods/Emotions, BPM tempo, Tempo-feel, Suggested Production Types, and Major Instruments. In fact, as I write this, it’s almost completed. We’d like to take this opportunity to thank all our users, visitors, partners and friends up through the years for their interest in our music and for making Shockwave-Sound.com such a successful business. We’re 11 years old, and quite literally, we can’t wait for the next 11! Check out some of Shockwave-Sound.com’s music used in a very cool way, in Avatar Boogie 2. Is it a game? Is it a show? Is it a dance video? I guess it’s all of these and more! 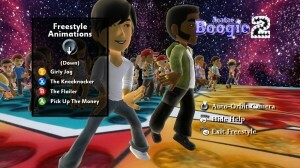 Watch your own X-box avatar dance the night away with funky moves from ballet to funk, from disco to air guitar, all set to music from Shockwave-Sound.com in a really cool way. Check out the free trial version at the X-Box Marketplace. Here at Shockwave-Sound.com we love to cross-promote with our customers, so if you write up a little story/article on your website or blog, we will do the same for you on our blog. Our site is visited by over 4,500 different/unique visitors every day and is a very active place with a lot of media people reading it, so we guarantee that it will be good promotion for you. Should you be interested in this, please go ahead and write a little something on your website or blog that includes us. Perhaps something about why you chose this music track, why you licensed it from our site, how you feel it matches or fits into your project, and how you worked the integration between your project and the music. Basically just anything that tells a little story about Shockwave-Sound.com and the how / why / when you used us. 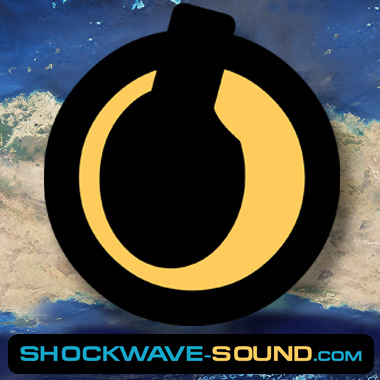 Include a working web link to our website: http://www.shockwave-sound.com (that is a requirement). Here is a .zip file with our graphic logo in various formats, should you need it. Then contact us and tell us about your article. Also tell us about your project / film / game / what ever type of product you’ve made, and we will be happy to give it a good plug on our website – including a picture or two, if you like. And we’ll link to your website, video or product. We’re looking forward to writing about your baby!